End to the Iran Deal? Sources in Washington say president will declare Iran in violation of controversial 2015 nuclear deal. President Donald Trump will declare the Iranian regime in violation of the Joint Comprehensive Plan of Action, the 2015 deal aimed at reining in Iran’s nuclear program, multiple sources in Washington say, potentially putting the Trump administration on a collision course with Tehran. On Wednesday, The Washington Free Beacon reported that President Trump is expected to declare Iran in breach of the deal on October 15th, despite pressure by some top administration officials – including Secretary of Defense James Mattis and Secretary of State Rex Tillerson – to certify Iran as being in compliance with the terms of the agreement. The Beacon cited unnamed Trump administration officials who said the president had long suspected Iran of being in violation of the deal, and was pushed by recent revelations to deny recertification. "The president already knew that continued sanctions relief to Iran was inappropriate and not in our interest given their behavior, which was more than enough to decertify,” one source told The Washington Free Beacon. “He said so repeatedly. Now there's this new issue where the IAEA just admitted publicly they've been unable to verify entire sections of the deal, which makes the whole thing a no-brainer." "Decertifying clears a lot of clutter off the table because our guys no longer have to pretend the deal is a good deal," the source said. "They can let it stay in place for a while or try to fix it, all while focusing on the rest of Iran's aggression." By law, the president must report to Congress on Iran’s compliance with the JCPOA every 90 days. Failure to recertify Iranian compliance would lead to the resumption of some US sanctions on the Tehran regime, and potentially force an end to the deal itself. Removal of those sanctions targeting Iran’s nuclear program was a key condition for securing Iranian agreement to the JCPOA. 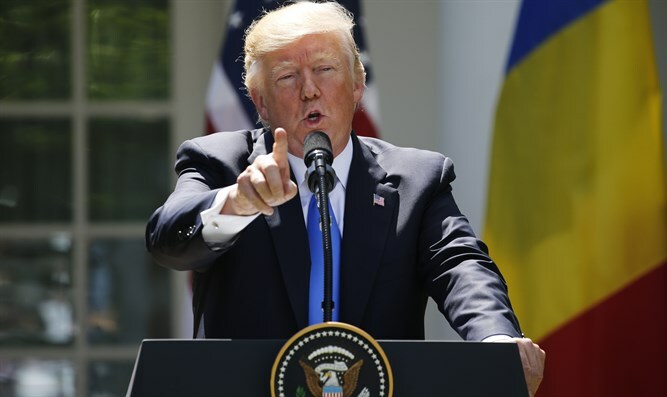 President Trump has thus far recertified Iran twice, but according to sources in Washington, is now expected to declare Iran in violation of the deal. According to Israel’s Channel 2, Trump will not withdraw from the JCPOA, but will declare that Tehran has failed to comply with the terms of the deal, and will announce new sanctions on the Iranian regime. Democratic lawmakers have strongly opposed such a move, with 180 congressional Democrats signing a joint letter to the president calling on him to certify Iranian compliance. The administration changed course on certification, however, after it was revealed that the International Atomic Energy Agency – which is charged with carrying out on-site inspections at Iranian nuclear facilities – was barred from Iranian military bases. Opponents of the JCPOA pointed to Iran’s refusal to permit inspections outside of declared nuclear facilities as evidence that the IAEA was unable to truly verify Tehran’s compliance, claiming. "The IAEA's admission that they are unable to verify a fundamental provision under the nuclear deal—that the Iranians are not engaging in activities or using equipment to develop a nuclear explosive device—is highly alarming. In these circumstances, issuing a compliance certification would be serious mistake," Texas Senator Ted Cruz said. "If the Iranians are serious about a peaceful program, they need to prove it. Iran's continued refusal to allow IAEA access to military sites—a clear requirement of the terms of the deal—renders the JCPOA utterly ineffective, and, even worse, a sham that only facilitates Iran's acquiring nuclear weapons. This absence of any meaningful verification is yet another reason to vitiate this foolhardy agreement."